Four Black, 2" Locking Casters. Rubber Bumpers prevents wall damage. Bacteriological, Chemical, and Fungal Resistant contoured top. Two Handles Integrated Directly into the Cart. 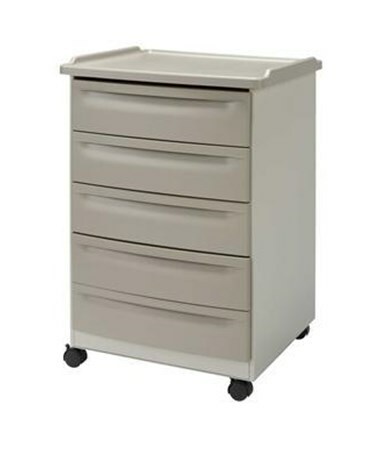 This Mobile Equipment Cart is great for the primary care market, and is used in exam rooms. Has a powder coated steel finish for durability, and rubber bumpers installed to prevent wall damage. Its contoured top is covered in a bacteriological, chemical, and fungal resistant material. All Brewer carts are covered with a 5-year warranty. Contoured Top Covered in a Bacteriological, Chemical, and Fungal Resistant Material. 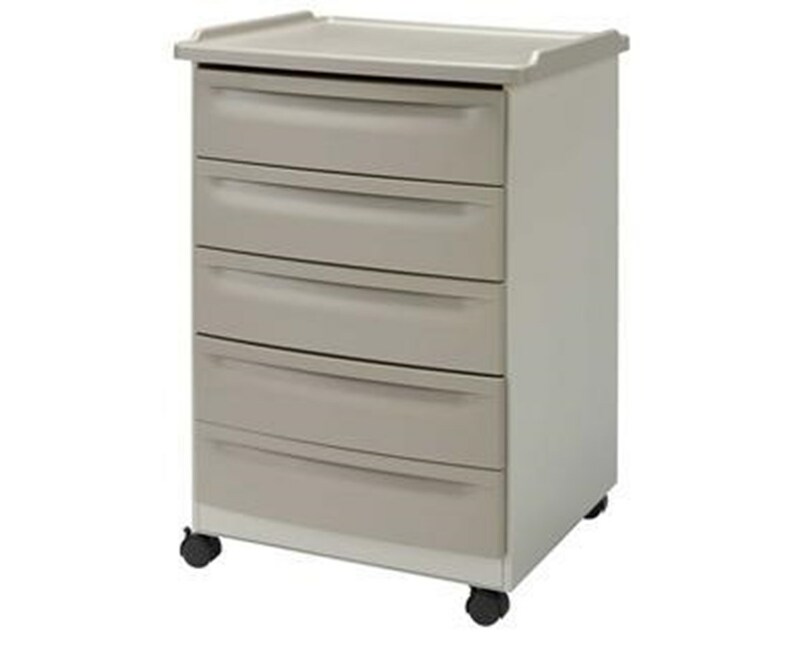 3 Small Drawers: 4" H x 19.7" W x 19.2" D.
1 Large Drawer: 10" H x 19.7" W x 19.2" D.
Rubber bumper w/4 2" locking caster.